2017 was a big year in Android apps. We saw a huge push into new territories and technologies. Some companies bolstered the options in existing spaces. In other words, new stuff is better and the old stuff is better too. The biggest trends this year were video streaming, combining services, weather apps, and spiting Google for not releasing the Pixel Launcher to the masses. We’re totally okay with all of those things. Here are the best Android apps from the year 2017! Check out our picks for the best apps from prior years! 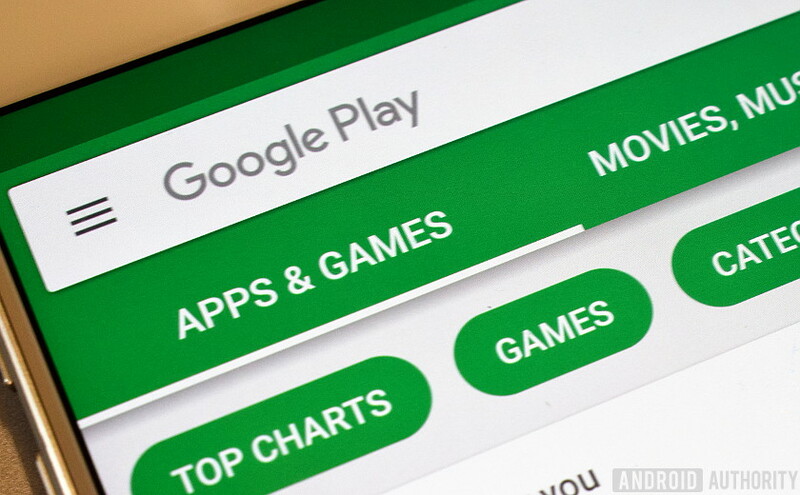 10 best Android apps released in 2015! The original ADW Launcher was one of the best and most popular Android launchers. It disappeared for quite a while before returning as ADW Launcher 2. The launch of ADW Launcher 2 marked the return of one of the greats. The latest release also included new features, a new layout, and more modern elements. It features broad customization features, gesture support, extensions, support for custom icons, a widget maker, and a ton of other stuff. It was one of the few apps that ever went straight from a release to one of our best lists. Its $3.49 price tag for the pro version is also downright reasonable. We hope this one sticks around for a while. GlassWire is a security app from around March of this year. It monitors data usage for individual apps over both WiFi and mobile data. It's not the most unique idea. However, we loved how GlassWire executed with this one. You can monitor data usage in real time across any number of apps. It also alerts you when you're close to your data cap once you've defined one. It also works great for privacy since you can see what apps are using what and when. The app had a few minor mishaps in the first few months, but it's definitely one of the easiest apps like this. Its pro version is also cheap at $0.99. Google did two not great things in 2017. They didn't release the Pixel Launcher to the masses. They also announced the end of Google Now Launcher. This left a rather large gap in the Android launcher space. Lawnchair Launcher fills that gap. It features a modern, Pixel-style design with Google Now integration (requires an optional plugin), notification dots, Android Oreo shortcuts, and more. It also has a few additional customization features like icon pack support, variable icon and grid sizes, adaptive icons, and more. The app is free, open source, and has no advertising. There are other launchers with a similar look and feel. However, Lawnchair takes a lighter approach that minimalists appreciate. We couldn't recommend this one enough, even if it's still in beta. No, Microsoft did not pay us to put this here and, frankly, we're surprised that this made the list too. Microsoft's mobile Edge browser changed a lot of conversations. It allows for cross-platform syncing between desktop and mobile, features only previously held by Opera, Google Chrome, and Firefox. Additionally, it's yet another Microsoft app that makes integration between Windows and Android (the world's two most popular operating systems) a little more seamless. In terms of pure functionality, this browser is a little basic. However, let's face facts, this one is going to get better over the next few years. It already has over a million downloads and it's also free. Socratic is easily the best education app from 2017. It works as a helper of sorts. You snap a photo of your homework problem. The app's AI figures out the concepts you need to learn in order to solve the problem. It works with a variety of subjects, including history, math, science, economics, and even English. Socratic hits that good middle ground where people still need to learn the concepts, but also giving enough information to actually be helpful. The service boasts over 100 million questions solved already. It also contains other features and it's free. See some of 2017's best apps on our other lists! Today Weather received a ton of critical acclaim upon release. Even Google lists this one among its picks in the best of 2017. The app features a modern, simple design. That really helps keep the app from feeling cluttered with all of the information that it provides. That includes the current forecast, future forecasts, a multi-function weather radar,widgets, alerts, an hourly forecast, and more from five different sources. Seriously, this is one gorgeous and functional weather app. There really isn't much wrong it. VRV is technically from the very, very end of 2016. However, we thought it was good enough to carry over into this year. Here's why. It's the best streaming service for anime, period. Full stop. It features Funimation, Crunchyroll, and over half a dozen other production companies, including Rooster Teeth, Nerdist, Geek & Sundry, and others. Its inclusion of Funimation gives it a great selection of dubbed anime while Crunchyroll provides tons of the latest subbed anime. There are tons of other stuff there like Rooster Teeth's podcast, Red vs Blue, RWBY, and tons of shows and content from the others as well. Those who like anime should have this without question. The rest of it is a very satisfying cherry on a very satisfying streaming service. What the Forecast is a rather charming weather app. Its main feature is giving you clever, humorous quips about the current weather. Some of the weather features include the current forecast, the real feel temperature, a seven day forecast, a glossary of weather terms, and more. Additionally, the boasts over 6600 phrases about the weather. That should keep most fans of the app going for a while. It's not as powerful as something like Today Weather. However, it's a totally enjoyable and fun app for those who just need the basics. YouTube TV was a revelation. There are other Internet TV offerings like PlayStation Vue, Sling TV, and others. However, YouTube TV was arguably the biggest such release. It features over 40 channels, cloud DVR, and support for up to six accounts per household. It put Internet TV in the biggest spotlight yet. The roll out is taking forever, but with just under 100 cities, YouTube TV is slowly making its way everywhere. These services may replace cable TV someday and 2017 was the year where they really started catching people's attention. We did put Sling TV on our list for the best apps of 2015, so at least we're consistent! Movies Anywhere app takes our top spot for the best app of 2017. It's more philosophical than functional, though. We live in a tech industry that tries to keep us entwined in an ecosystem. You buy stuff on a platform, but it's only accessible on that specific platform and nowhere else. Movies Anywhere is a delightful trip in the opposite direction. It supports movie purchases from Amazon, Google Play, Disney Movies Anywhere, iTunes, and Vudu. That way you can shop around and still watch your movies in a single spot. The app has some technical difficulties. However, it seems to be getting more stable with each update. This one should get better over the coming years and we certainly hope to see something like this for music, TV shows, books, and maybe even apps or games someday. Thank you for reading! Here are our rolling lists of the best android apps available right now! If we missed any great Android apps from the last year, tell us about them in the comments! You can always check out our latest Android app and game lists by clicking here! A previous version of this post had Movies Anywhere listed as being made by Google. That was wrong and has been corrected!